Three-metre-tall, metal teepees in Brandon, Man., serve as physical reminders of reconciliation. Reconciliation can take many forms — and in a southwestern Manitoba city, it has taken the form of three-metre-tall, metal teepees. The Brandon Friendship Centre's teepee project is a way to represent Indigenous cultures in the city, says Frank Tacan. "This is not good to say, but it's a racist city. People don't understand who we are," said Tacan, a cultural worker at the Friendship Centre, who is from Sioux Valley Dakota Nation, just west of Brandon. "With these teepees, I hope people will get it. We're trying to send the message to learn about us instead of judging us." The idea came to Tacan in 2016 after seeing the Walking With Our Sisters exhibit in Brandon — a 2016 art installation that commemorated the lives of missing and murdered Indigenous women by laying out the decorative tops of moccasins in a design that took viewers down a winding pathway. Tacan and other staff at the Friendship Centre decided teepees would be great permanent landmarks. "It's positive because now we're all working together," he said. "We're working with police, city hall, the mayor and council. But we have to work with the health system and the justice system next." Two teepees went up last fall — one at city hall, the other in front of the Brandon Police Service building. Each structure has a different set of teachings. The one at city hall includes the four colours of the medicine wheel. As you enter the teepee and walk around, you can reflect on teachings on subjects like knowledge, obedience, respect, and good child rearing. Dennis Desjardins is the co-ordinator for the youth homelessness program at the Friendship Centre. He says local businesses and schools have recently shown interest in building their own teepees — a sign that the structures are fulfilling their purpose. Dennis Desjardins works with homeless youth at the Brandon Friendship Centre. He says many young people have lost their sense of cultural identity, and hopes the teepees will help them reconnect. (Sam Samson/CBC)"We're trying to do our part in the truth and reconciliation movement," said Desjardins, who is ​Métis. "This is a part of teaching non-Indigenous people. Our ancestors were here first and people need to recognize that." The teepees will also be a cultural reminder for the young people Desjardins works with, he says. "A lot of the youth have lost their traditional way of living and this is one step of bringing that back," he said. "Having them see the teepee, in some aspects, will help them understand they need to get back to their traditional way of living. It's been so lost for so long that it's foreign to most of them." While Tacan said there's still discrimination in Brandon, the teepees are a step toward a more understanding community. "These aren't just plaques, they're teachings of our people," he said. "Now, non-Aboriginal people are going to come here, immigrants will come here, and say 'these are how Indigenous people are. Let's accept them with open arms.'" Urban Myths is a CBC series that explores Manitoba communities and their sometimes surprising stories. 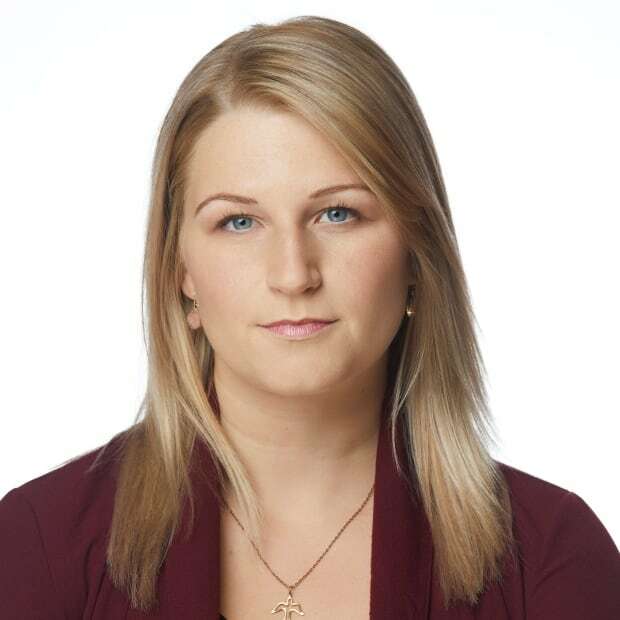 Sam Samson is a multimedia journalist who has worked for CBC in Manitoba and Ontario as a reporter and associate producer. Before working for CBC, she studied journalism and communications in Winnipeg. You can get in touch on Twitter @CBCSamSamson or email samantha.samson@cbc.ca.